Auchan's presence in Ukraine is largely centered around the capital city, Kyiv. 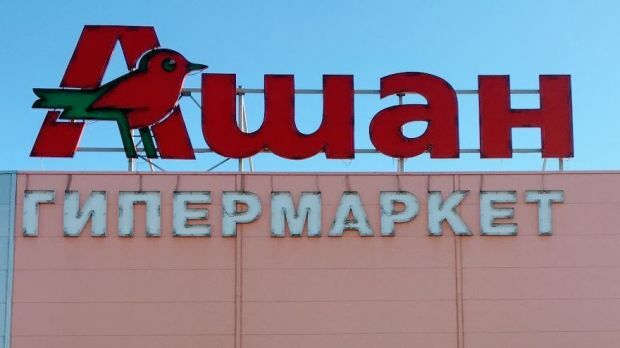 French retailer Auchan today announces its acquisition of Ukrainian retailer Karavan (Карава́н) which operates 9 hypermarkets in five cities of the country. Not only will this move strenghten its presence in the capital city Kyiv, it also unlocks four new cities including the country's second largest city, Kharkiv. Gérard Gallet, CEO of Auchan Retail Ukraine stated in the press release "Through this major investment in Ukraine, Auchan Retail reiterates its confidence in the take-off of the country's economy, after difficult years ...". The acquisition needs to be approved by the Competition Authority, but should it be successful it would nearly double Auchan’s current store network in Ukraine. We believe this acquisition is a master move for Auchan, which will effectively double its store network reaching some 20 hypermarkets and superstores in the country's top cities. This is no small feat in a country where premise scarcity, red tape, corruption and political instability make big box openings tedious and time-consuming. Anticipating a cruising speed of around two openings per year, the retailer was hit by the recent events in eastern Ukraine, with its stores in Donetsk and Simferopol eventually transferred to its Russian division. The rumours of Auchan's interest in Karavan have been circulating for months. It comes as no surprise to us as the country faces retail consolidation: plummeting consumer spending and rampant inflation have taken their toll on smaller regional chains. This creates opportunity for the handful of stronger players which managed to develop their store network nationwide, be it ATB, Fozzy Group, Furshet, Retail Group and of course, Auchan. Thanks to its international scale; assortment width; economy private label line Kozhen Den; and no-frills proposition; the French giant has managed to play its cards right. LZ Retailytics data shows the retailer posted a whopping 29% year-on-year growth last year (in local currency) taking sales to EUR395mn, the fastest progression among Ukraine’s top retailers. We concur with Auchan's vision of an improving outlook. While economic indicators remain weak and inflation is high, they are slowly improving. The doubling of minimum income earlier this year is expected to boost consumption, for instance. Finally, the abrupt parting of Ukraine ties with Russia is likely to shift the country's political and economic agenda closer to its EU neighbours going forward. Despite this, the series of turmoils faced by the country since the early 2000s has shaken the industry. Larger formats had been dominating the retail environment for many years, but now - with financing sources and available retail premises scarcer - convenience formats with lower investment costs and shorter repayment terms are making up the lion's share of newly opened stores. Auchan itself is reportedly mulling the introduction of minimarkets in the country by the end of the year, echoing its wider European multiformat strategy. Overall, competition is likely to increase further as key retailers such as the leading soft-discounter ATB and multi-format conglomerate Fozzy Group also redirect expansion efforts to the key locations where Auchan is operating – be it Kiev, Odessa or Lviv region (western Ukraine), where Auchan unveiled its first superstore. Despite historically showing a lower than average consumer income, the significant devaluation of the Hryvnia currency means that Lviv is now enjoying increased retail spending due to cross-border shopping and a foreign currency influx. Going forward, we are convinced that we will see further consolidation, which will illustrate which retailers have adapted successfully to the economic downturn. We believe that critical factors will include debt restructuring, a well-developed private label economy range, a high share in national sourcing and lean operational processes. With contribution from Senior Retail Analyst Sebastian Rennack.